Today I’m going to share MLM Recruiting secrets for you to enroll more reps into your business! Is this something you’ve been struggling with? Or maybe you’ve been prospecting, and talking to people..and NO ONE seems interested? 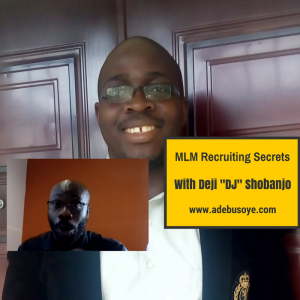 Then today’s MLM recruiting secrets WILL help you. The 3 key ingredients EVERY network marketer needs to master in order to become a top earner. 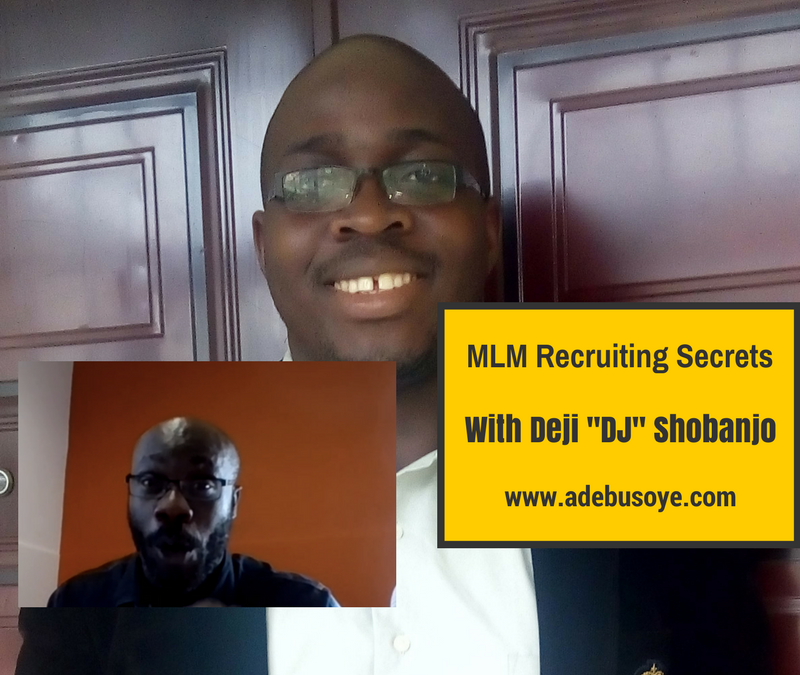 Last week, I had an interview with an awesome coach and Mentor Deji “DJ” Sobanjo. DJ is an entrepreneur based in the UK. 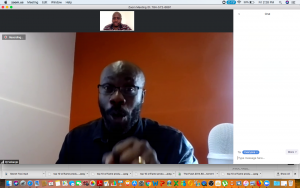 He runs ProfitFromCoaching.com, where he shows coaches and Trainers how to profit from their coaching businesses. DJ got into Network Marketing a long time back, with the same company that produced Jordan Adler (one of the worlds greatest Networkers). He had no contacts and seriously FAILED for 18 months before becoming a top earner in his company. This is Almost AN HOURS Worth Of Content and the connection was a bit wonky at times.. But this video is pure SOLID GOLD! 3 questions to uncover your prospects DEEPEST pains and fears, and allow you to close them EFFORTLESSLY. If you got value from the Interview and want to go deeper, then CLICK THE IMAGE BELOW TO GET DISCOVERY CALL MAGIC! I sure hope you took plenty of notes. What was your major takeaway? 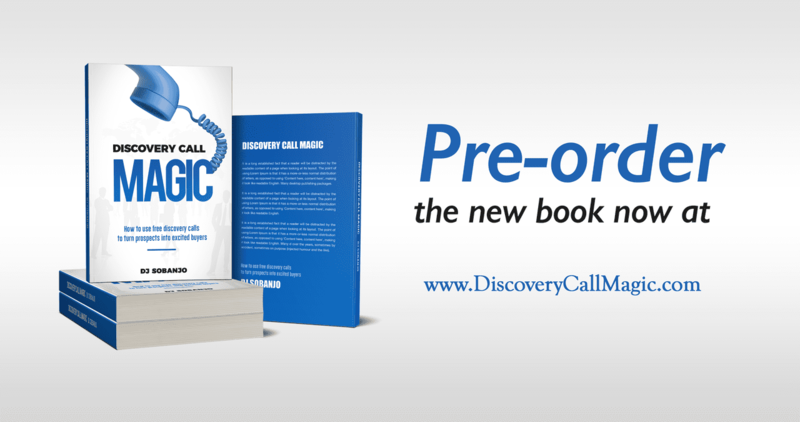 If you decide to invest in yourself and pick up a copy of discovery call magic, click the link below.